The opening of Hudson Yards was definitely a cause for celebration. 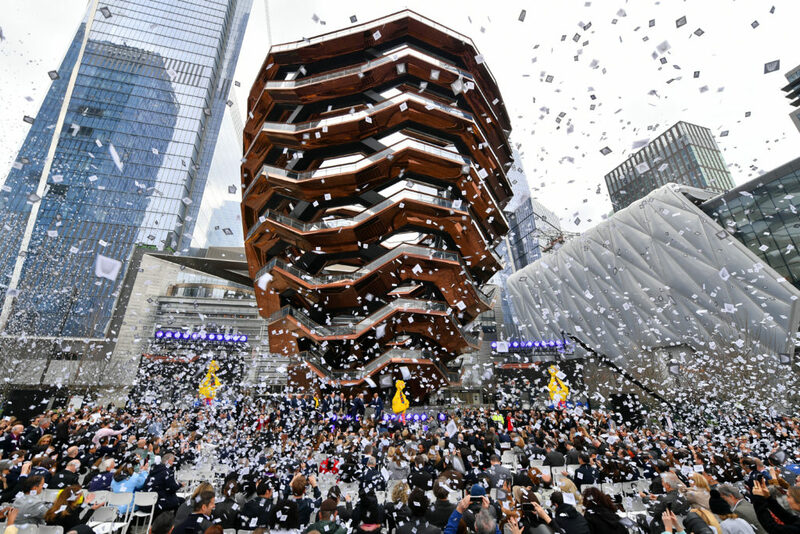 NEW YORK—History was made on March 15 in Lower Manhattan when the Hudson Yards neighborhood officially opened to the public. Beginning at noon, New Yorkers and visitors flocked to the Public Square and Gardens, a new five-acre public space; its centerpiece, an interactive landmark temporarily known as Vessel and The Shops & Restaurants, a 1-million-square-foot retail center featuring a collection of more than 100 diverse shops and culinary experiences. Tenants have begun moving into 55 Hudson Yards and 30 Hudson Yards, two large-scale commercial towers, and residential occupancy is underway at 15 Hudson Yards. 10 Hudson Yards opened in May of 2016. 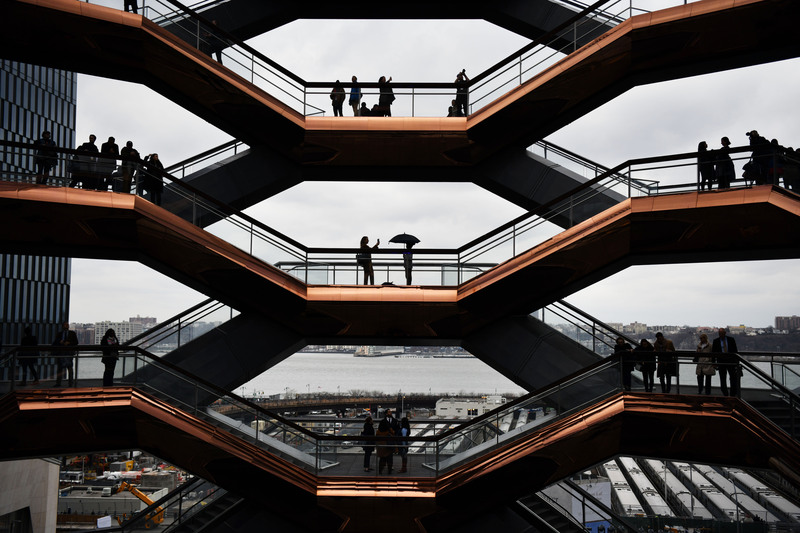 The opening of Hudson Yards, built atop the MTA’s John D. Caemmerer West Side Storage Yard, brings together for the first time the West Side and the neighboring districts of Chelsea and Hell’s Kitchen. Hudson Yards developers Related Companies and Oxford Properties Group were joined at the opening by U.S. Senate Minority Leader Charles E. Schumer, U.S. Reps. Adriano Espaillat, Jerrold Nadler, Council Speaker Corey Johnson, First Deputy Mayor Dean Fuleihan and numerous elected officials; Gary LaBarbera, President of the Building and Construction Trades Council of Greater New York and many other dignitaries. Additional highlights of the neighborhood still set to open over the upcoming months include: The Shed on April 5; the Equinox Hotel in June; and Edge, the highest outdoor observation deck in the Western Hemisphere, expected to open by early 2020. Native New Yorker and CNN anchor Anderson Cooper served as master of ceremonies. Live performances by singer and songwriter Andra Day, Dancers of The Ailey School and the National Chorale, The Professional Performing Arts High School Choir, marked the occasion.